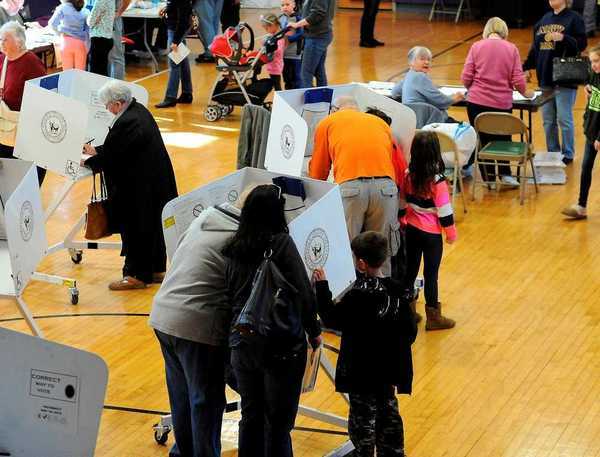 Suffolk’s voter turnout as of noon stood at 27.19 percent, higher than turnout numbers in 2012 for the same time period but not as high as 2008 when President Barack Obama won his first term, according to the Suffolk Board of Elections. With 918 of 1,052 election districts reporting, the Suffolk noontime turnout totaled 222,758 voters. The initial turnout numbers are higher than the 21.84 percent midday figures for the 2012 election where President Barack Obama won his second term, but lower than the 34.62 percent noontime turnout when he won his first term in 2008. Brookhaven, Suffolk’s largest town, has already had 67,138 voters, or 26.45 percent who have cast ballots, followed by Islip where 44,376 voters, or 25.59 percent, have cast ballots. In Babylon 33,906 voters, or 27.32 percent, have already been to the polls. In Huntington, 32,871 have cast ballots for a 29.09 percent turnout. The highest percentage of voters so far comes from Shelter Island where 35.06 percent, or 825 voters, have already gone to the polls, followed by Southold where 31.2 percent, or 4,953, have voted. Smithtown has drawn 19,593 voters or 29.88 percent. Administrative errors, bad weather or other unforeseen circumstances on Election Day may mean you have to vote using a provisional ballot. Here's what that means. 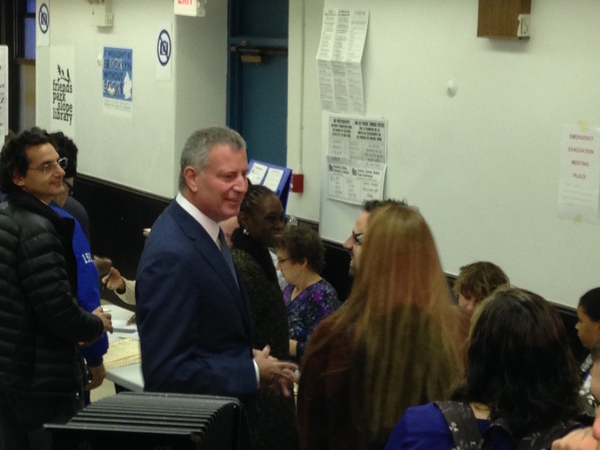 New York City Mayor Bill de Blasio returned to his old neighborhood Park Slope to cast his vote for Clinton. De Blasio and his wife, Chirlane McCray, stood for about 25 minutes on a line stretching through the children’s department of the Park Slope library and down into the basement, the couple’s polling site, before casting ballots before dozens of cameras and reporters. Although de Blasio lives in the mayoral residence, Gracie Mansion on Manhattan’s Upper East Side, he still owns a home in Brooklyn and votes there.